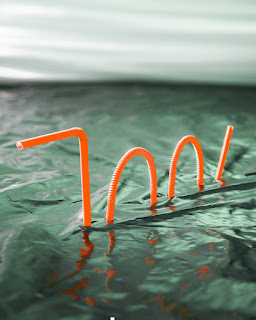 Every year it is estimated that 8 million tons of plastic, worth €19.5 billion, swim in our oceans and seas. 80% of the plastic waste has an anthropic origin and the remaining 20% comes from cruise ships, merchant ships or oil platforms. According to the Report “Stemming the life”, produced by Ocean Conservancy, in 2025 there could be a ton of plastic for every three tons of fish. Thread and fishing nets are dangerous not only when they are used for fishing, but continue to threaten birds, turtles and cetaceans even when they have finished their primary function, wrapping themselves in a deadly embrace around the animals. 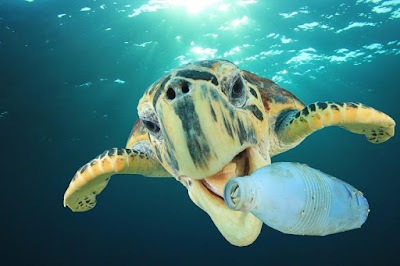 Plastic bags are easily mistaken for jellyfish and swallowed as food, while plastic straws can be blocked in a nostril, in the eye or even in the throat of a sea turtle or any other marine animal. There are 690 species threatened by waste: 17% of these are included on the blacklist of animals in danger of extinction, 92% are endangered by plastics and 10% have ingested microplastics. When we talk about plastic we immediately think of the floating islands of waste, in reality the issue is much more complex and the major impact on marine animals is mostly due to the microplastics, plastic fragments of less than 5 millimeters which can be produced by industry (for example the microspheres used in cosmetics or for personal hygiene, toothpastes are particularly rich in them) or derive from degradation of larger plastic objects in the sea due to the wind, wave motion or ultraviolet light. Microplastics afflict all marine animals, from the microscopic krill- the set of small crustaceans that represent the primary source of food for many marine animals- to the great predators at the apex of the food chain, finally coming to us through the food we eat. Birds mistake brightly colored objects for food or accidentally swallow them and the impact on their health can be devastating: from various forms of poisoning to death. Turtles and cetaceans eat plastic bags thinking they are jellyfish, sharks take pieces of plastic for fish. Despite these observations, scientists cannot explain why so many animals, from plankton to whales, make this error that can often be fatal. A motivation could come from a new study, published in the journal “Science Advances”, according to which the answer may be that plastic has the same smell as food. Krill feeds on algae; when these die and decompose, they emit a sulfur odor generated by the dimethyl sulphide (DMS). Seabirds have learned that this smell indicates the presence of krill. 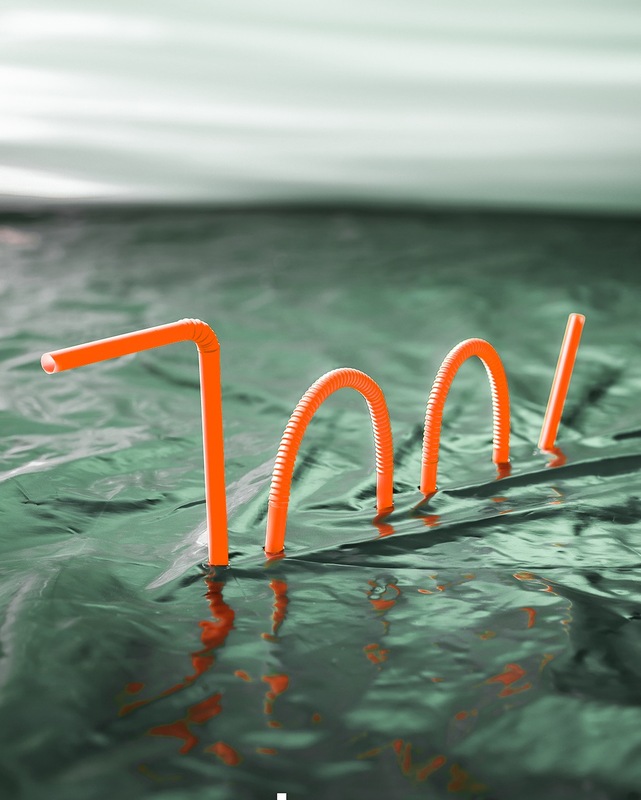 According to the research, plastic waste is an ideal substrate for the growth of algae, the slimy, greenish layer that often covers the pieces of plastic we find at sea. When the algae die and decompose, they emit the odor of the dimethyl sulphide, and the seabirds, which use their sense of smell to obtain food, are deceived by what are called "olfactory traps", which cause them to take the plastic for krill. A National Geographic video clearly represents the feeling that an animal has when it comes across a piece of plastic. In this dramatic scenario there are still people who believe that things must change. Their names are Sir Richard Brenson, Fabien Cousteau, Harvey Flemming, Karl Stanley, Gealin Rosenwaks, Mark Atherton and Andre Droxler. 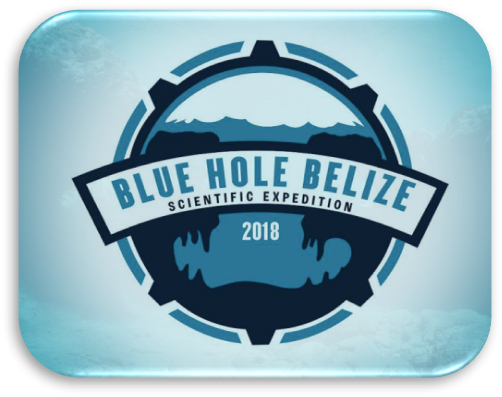 This group of scientists, biologists and experts will conduct an expedition called “BLUE HOLE BELIZE”. They will explore the Blue Natural Monument, the giant marine sinkhole on the coast of Belize. Promote ocean conservation and awareness. This high-tech deliverable will help to better understand this geologic marvel and provide a window into sea-level and climate changes over the last 100,000 years. Never before attempted, undertaking this activity will put Aquatica, a Canadian company who provides complete design, manufacturing, sales and support of the various Submersible models, at the forefront of modern subsea exploration. Last but not least, the exploration will have livestream broadcast from the bottom of the Blue Hole. This interactive event will be educational as well as entertaining. The use of Livestream technology will provide a vivid and inclusive experience to share the sense of wonder felt by ocean explorers.